Despite the fact that the non-profit sector represents an important aspect of the economic and social environment in every Country, especially in the current economic downturn climate, no strategic plans exists yet dedicated to find financing resources for Non-Profit Organizations. Non-profit associations, Socially Useful Non-Profit Organizations (NPOs) and Non-Governmental Organizations (NGOs), are abandoned to themselves in the delicate organizational stage of defining fundraising strategies and implementing fundraising campaigns. How can one enable an efficient and effective fundraising action? How can one make the organization known to the public generating real returns? How can one tell the public about the organization's successes, projects, needs? There are many questions that are asked by almost all Social Useful NPOs, and cannot find an answer due to the high costs of promotion and traditional advertising: many Associations and Non-Profit Organizations avoid using professional support by implementing a do-it-yourself approach that is believed more cost-effective and equally effective. Nothing could be more wrong and dangerous! 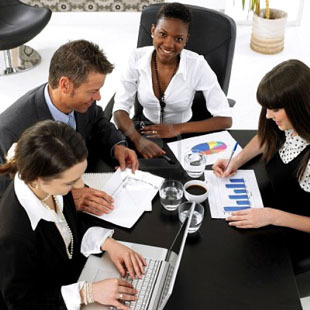 Since 1995, our team of Communication and Marketing experts works to offer a multifaceted and highly professional service to Associations and Non-Profit Organizations, by providing qualified consulting services in many cases specifically to prepare or to redefine the communication plan of the Non-Profit organization. In practical terms? We can tell you right now that we can find for you the funds for your communication and fundraising campaign. Where? Google Grants is the version of AdWords (the tool for Google online advertising) for the non-profit sector: Google Grants allows to the nonprofit organizations, thanks to $ 10,000 per month of free AdWords advertising, to promote their mission, initiatives and projects on the search engine. Managing a Google Grants account with a communication campaign, with the promotion of an initiative or project, with a fundraising campaign, however, requires consolidated experience in the Communication and Marketing field and involves significant work to analyze and manage the account to be able to best exploit a significant budget ($10,000 per month) while respecting, at the same time, the many requirements of the Grants program. Ability Services designed a Communication and Marketing program to support Non-Profit organizations. This service proposal, truly one of a kind, includes the ability to effectively manage online promotional campaigns at a reserved cost, with Google Grants fundraising managed directly by Ability Services. If you are interested in promoting your organization, please contact us, we will provide you with a targeted plan and afree analysis of your Website and promotional activities as well as possible fundraising. To make visible your business on the Internet, make your organization known, raise public awareness, involve new volunteers, collect new funds for special initiatives or regular activities, promote the allocation of 5x1000... A free budget of $ 10,000 per month in Google Adwords advertising for you and campaign management by a group of professionals experts in Communication and Marketing. The initial consultation for the submission and assessment of opportunities. The development of a dedicated communication plan , subdivided in more specific campaigns according to the needs of your Association or Organization. Collection of necessary documents and paperwork management to obtain funding in the amount of $10,000 monthly by Google. Accountopening, with campaignset-up, design of ads and identification of keywords. Landing page design on your website and preparation of contents with persuasive writing techniques. Unlimited Reports on the results of the campaigns in terms of visitors on your website and objectives achieved. Being a Social Useful NPOs (deed of registration in the National List of Social Useful NPOs, or equivalent document attesting you have the same rights of Social Useful NPOs, such as social cooperatives). - not being a Governmental Authority, school, university, or hospital. We will do all the rest. In this page we talk about communication services, among which the carrying out of website promotion, promotion of websites, promotion of a site, promotion of a website, promotion of web pages, web promotion, promotion and positioning, promotion of search engines, promotion of websites on search engines. A Google Adwords Grants campaign is completely useless and can even counterproductive if it is not properly organized and managed by professionals of this specific field, following careful planning of the Google Adwords Grants campaign. A “Do-it-yourself” approach does not generate visits and does not convert visitors into affiliates, donors, participants, and financiers. We offer you the possibility to organize and manage your Google Adwords Grants campaigns with the professionalism of a qualified communications agency such as Ability Services. With Google Adwords Grants campaigns that we can organize for you, we can guarantee you $10,000 per month in financing by Google, and we will make your Social Useful NPOs increase the participation and donations of an audience truly interested in your initiatives. How to open a Google grants account? Ability Services is a marketing and communications agency specialized in opening Google Grants accounts for over 15 years and in more than 50 different languages. Our team of experts in Google Grants will support you with professionalism by preparing free feasibility studies to open a Google grants account using keywords that are truly important and used. 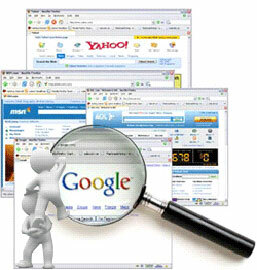 The opening of an account with google grants with related financing of $10,000 per month is no longer a difficult task! You are on the right page to organize Google Grants campaigns. Ability Services is a Communication and Marketing agency that offers you solutions to organize Google Grants campaigns by activating an account and obtaining Google financing of US$10,000 per month. We are among the best agencies in the sector, with qualified professionals who work for you with success to organize the Google Grants campaigns of your Social Useful NPO (ONLUS). With hundreds of successful cases in organizing Google Grants campaigns, we are confident that you too will be satisfied and enthusiastic for the traffic of qualified users on your website and for the results that you will obtain in participation, donations, and awareness of your initiatives. Ability Services is a Team of professionals, specialized in starting up a Google grants campaign, thanks to dozens and dozens of initiatives for Socially Useful NPOs and Non-Governmental Organizations (ONG) that brought in funds, awareness, financing, and participation from an increasingly wider audience. We are specialized in Marketing and Communication for Non-Profit sector, and then start up of a Google grants campaign is, therefore, our job. Rely with peace of mind on Ability Services to achieve your objectives. Ability Services has been operating for 20 years in the Web Marketing sector, and has been providing professional services for the Non-Profit sector for 10 years. Dozens of Socially Useful NPOs and Non-Governmental Organizations (ONG) relied on us to design and organize Google Adwords Grants campaigns. Who would not like to receive funds in the amount of $10,000 per month? With us it's possible. Users that are looking for your services, initiatives, events, or that are simply interested in the problems and in the field in which you operate, are all your potential financiers and supporters: without our help for the promotion and communication of your Social Useful NPOs, they may not be able to reach you. This is why we are here: to ensure you an effective positioning thanks to the Google Grants campaigns for Non-profit, which are free for you with a special Google financing of $10,000 per month. Most certainly your website has absorbed many resources costing you money and effort, but if no one finds it, then all you did was wasting time and money: without Google Grants for Non-Profit you would only have websites are beautiful showcases with their shutters down. With our Google Grants account management services for Non-Profits you will ensure your Social Useful NPOs visibility and traffic from interested users. Visit EtaBeta website on this page Web marketing services for the Non Profit sector.